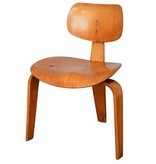 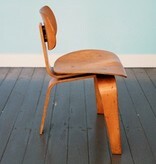 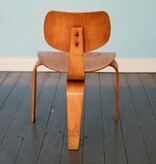 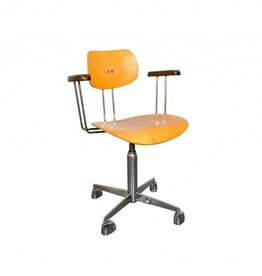 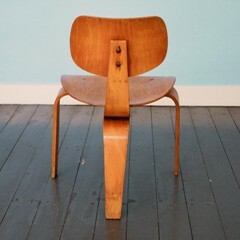 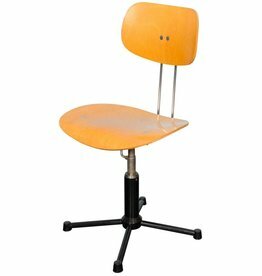 Three-legged chair SE 42 by German Designer Egon Eiermann for Wilde & Spieth. 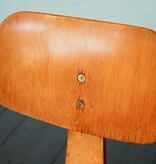 The dining chair is probably an early production from the 1950's. 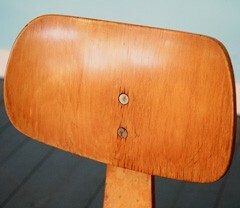 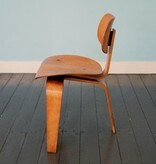 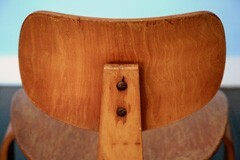 Eiermann used beechwood ply for the chair's base and rubber for the connecting pieces. 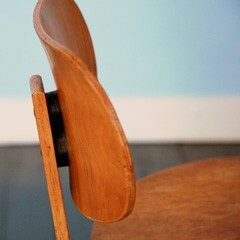 The chair has a beautiful patina and shows traces of use due to its age. 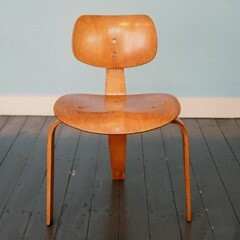 Nice vintage condition. 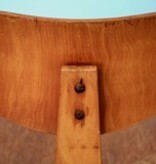 The wood is free of fractures or cracks.